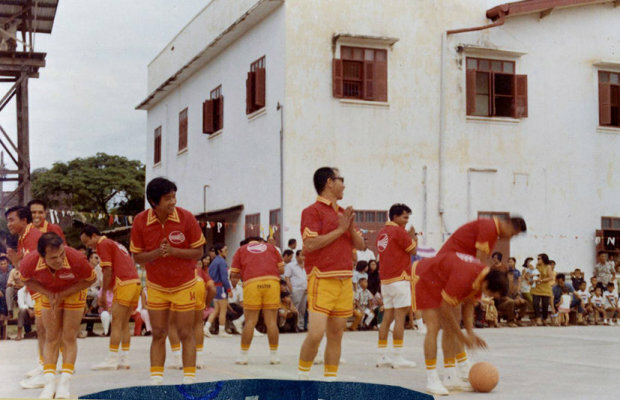 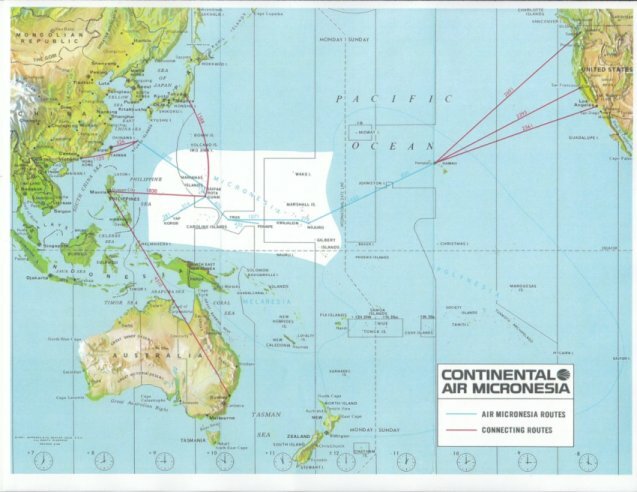 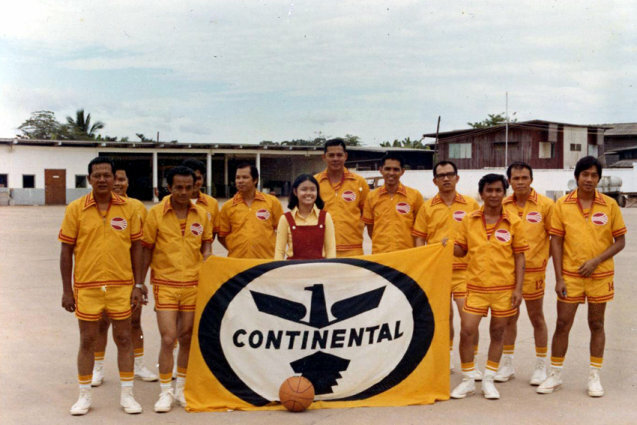 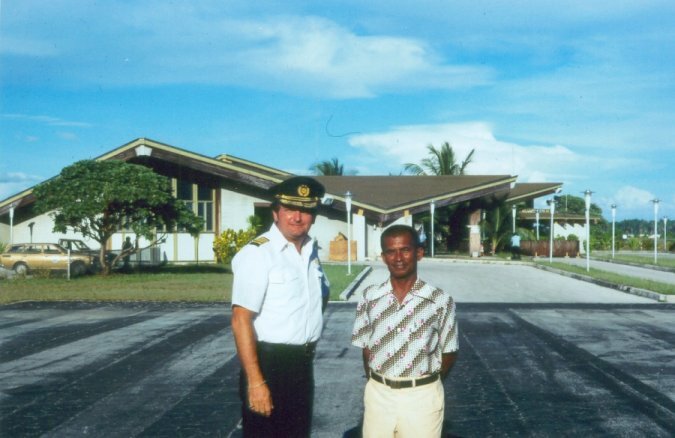 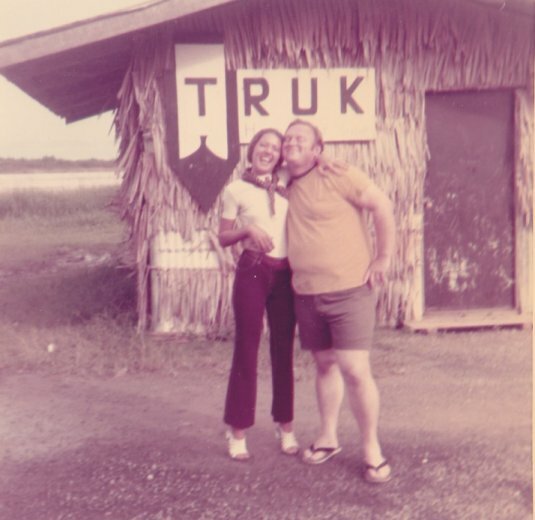 The airline was established by Continental and other regional shareholders in the former U.S. Trust Territory and started operations on May 16, 1968,as Air Micronesia, hence the nickname and call sign "Air Mike". 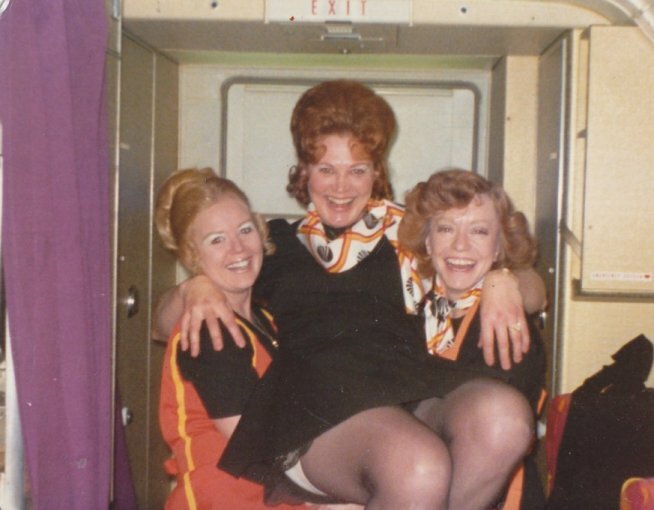 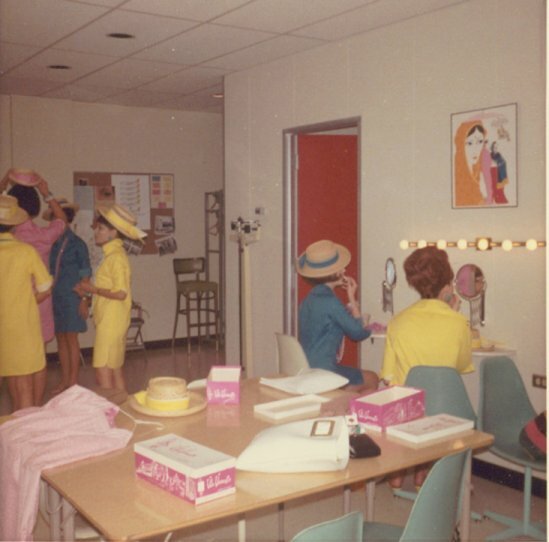 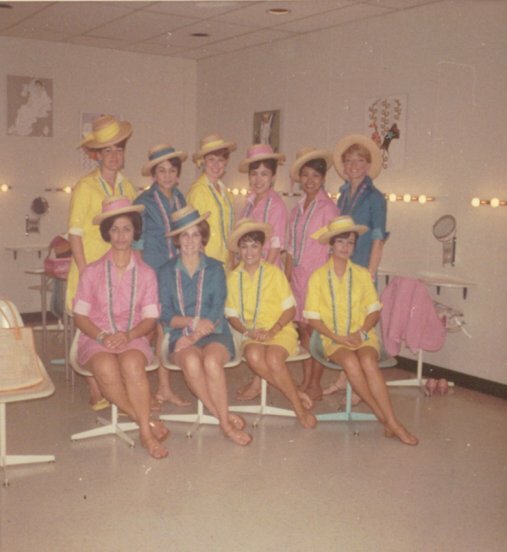 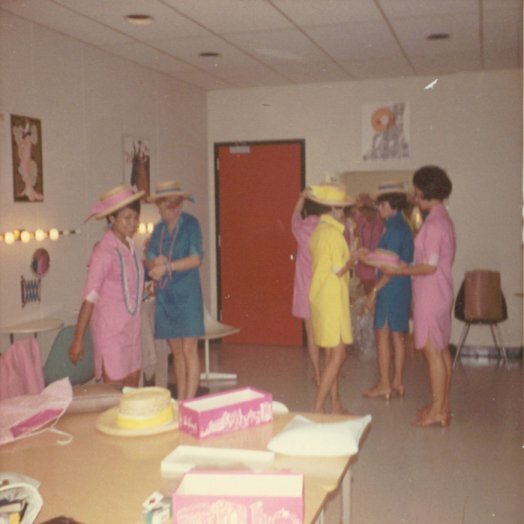 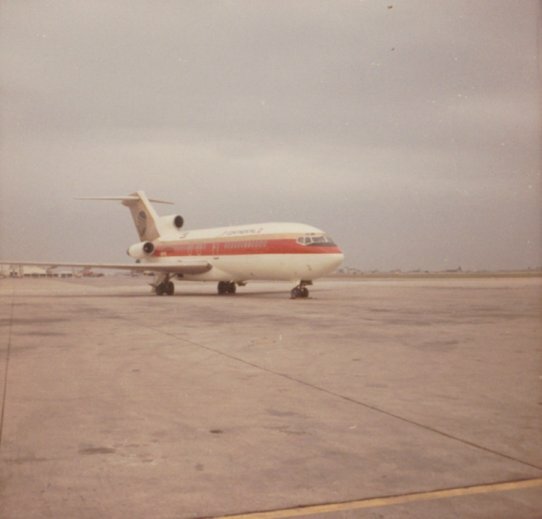 Service was started with a Boeing 727-100, Ship # 475, which was nicknamed "Ju-Ju," and a Douglas DC-6. 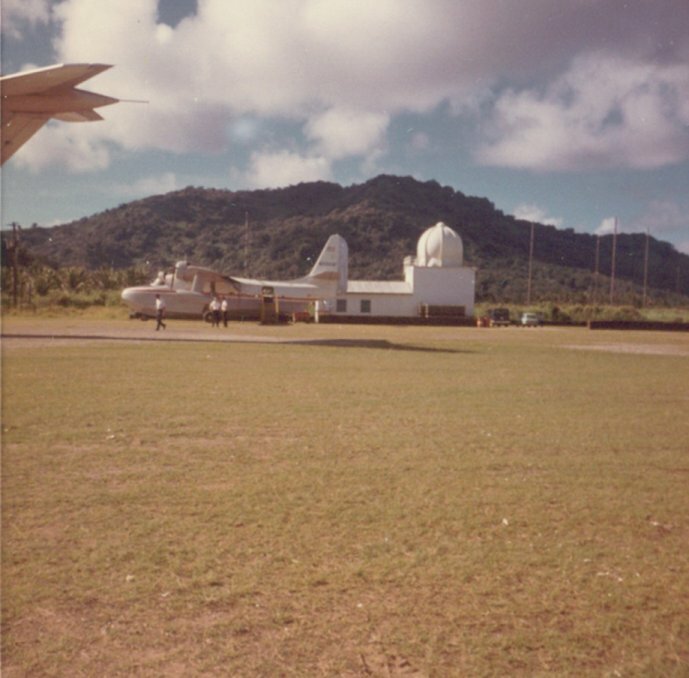 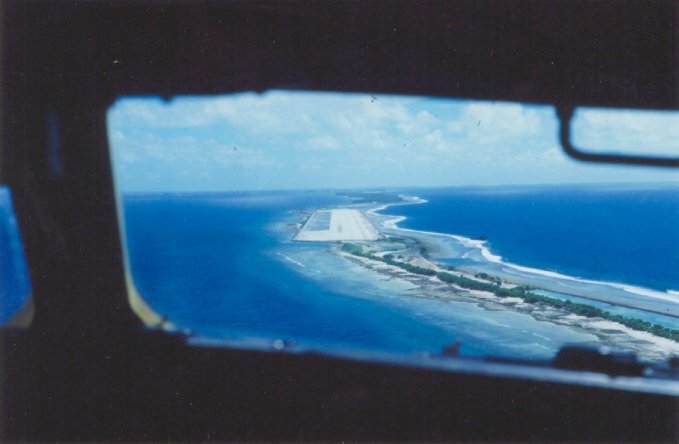 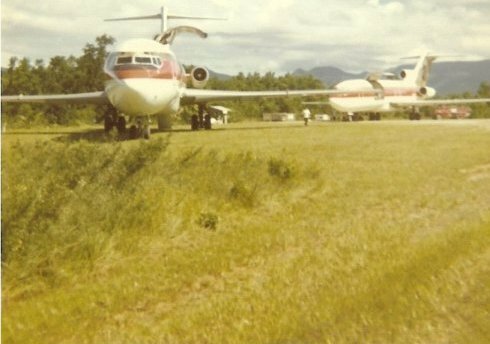 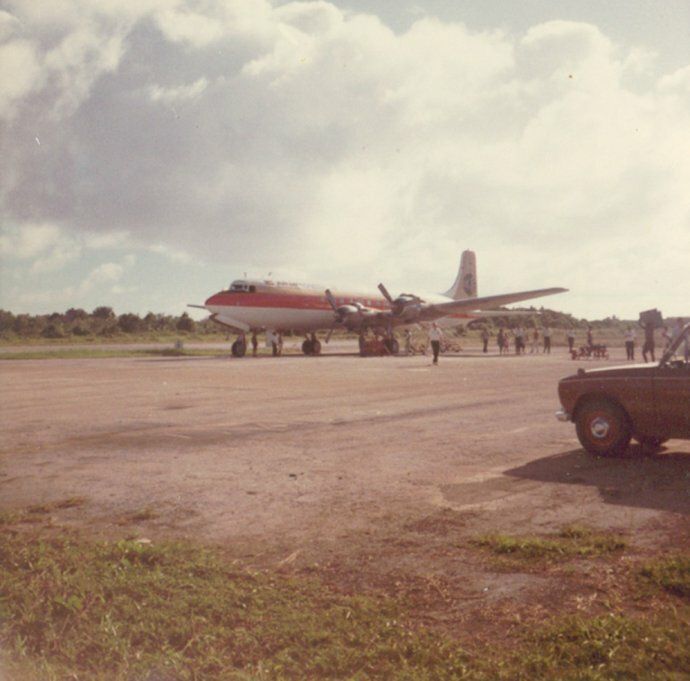 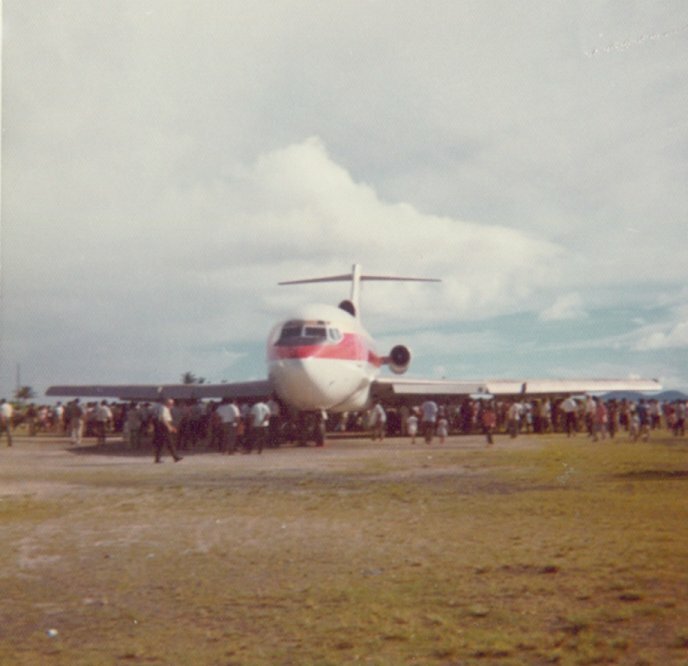 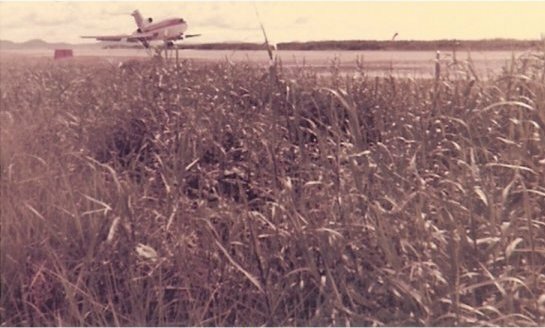 It also operated two Grumman SA-16/HU-16 Albatross amphibians to fly from Chuuk (Truk) to Pohnpei (Ponape), until an airfield could be built that could accommodate the 727. 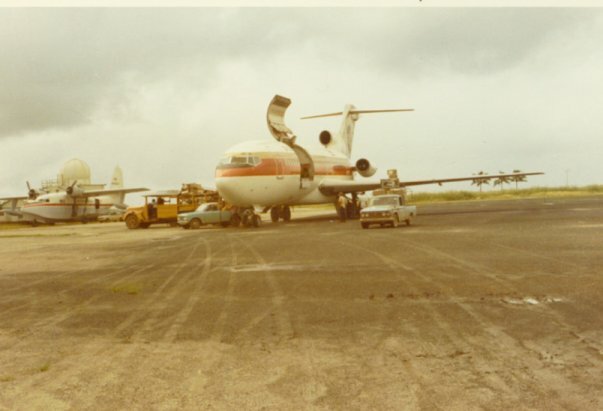 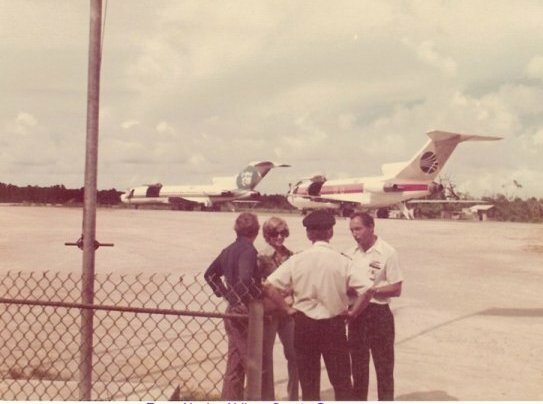 The 727's underside was coated with teflon, due to it having to operate oncoral runways. 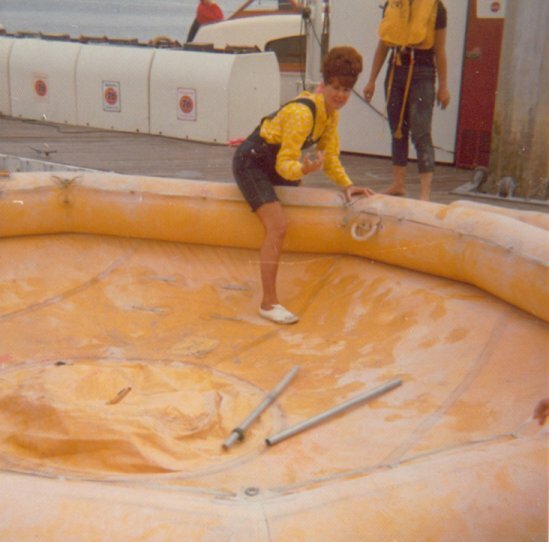 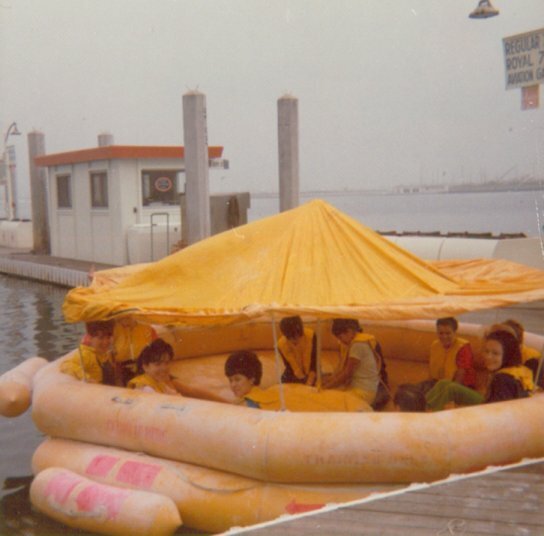 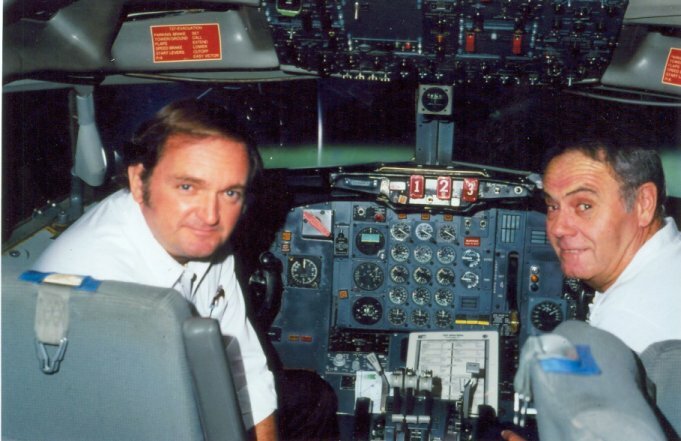 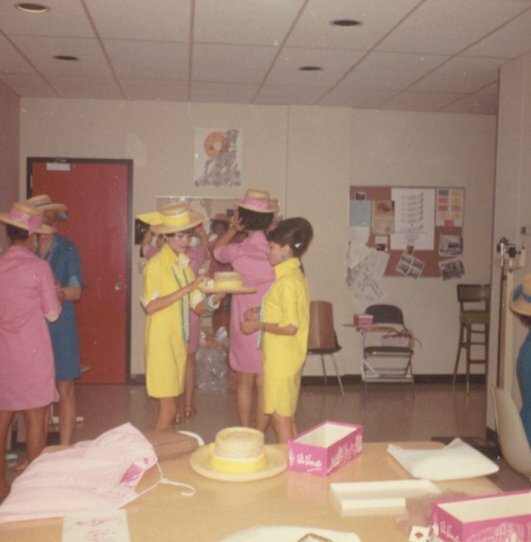 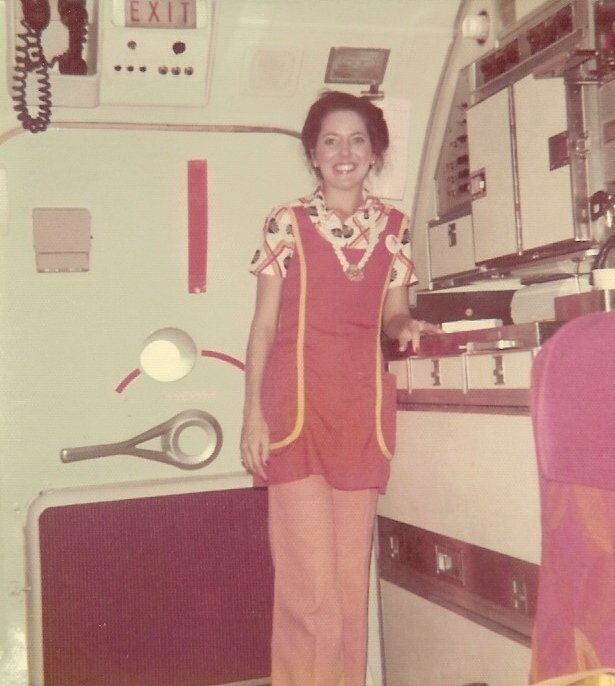 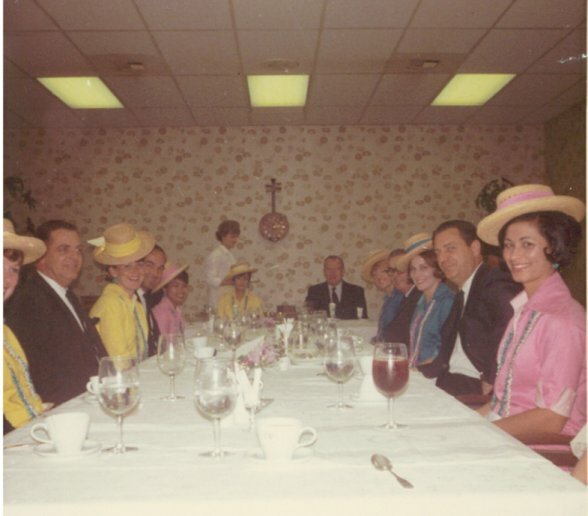 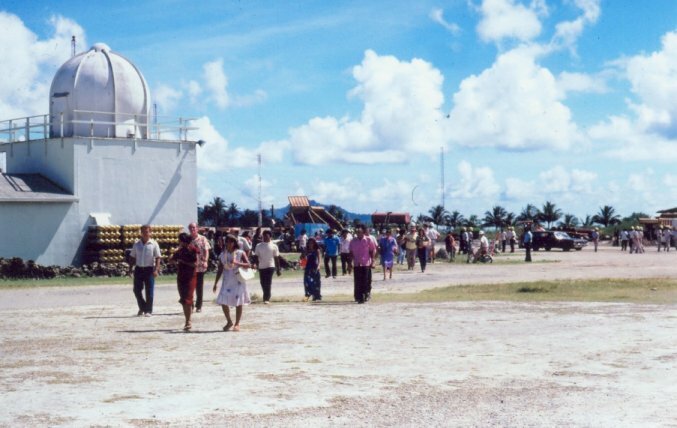 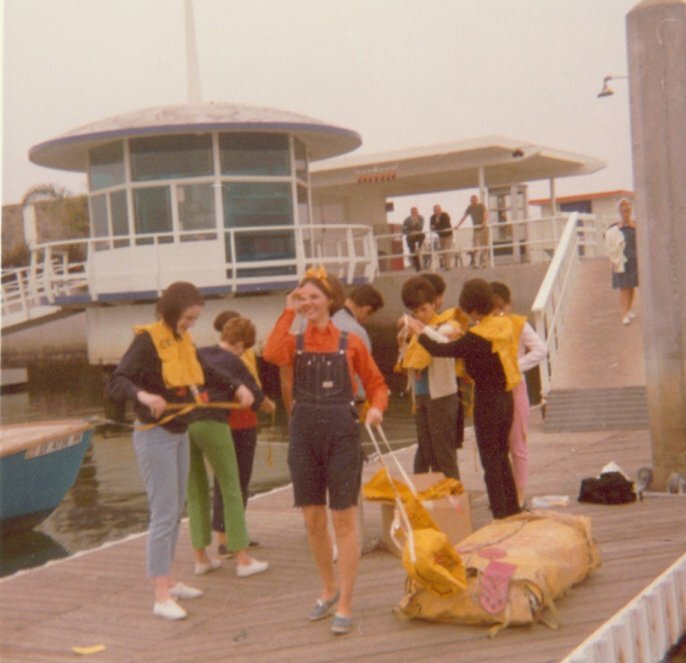 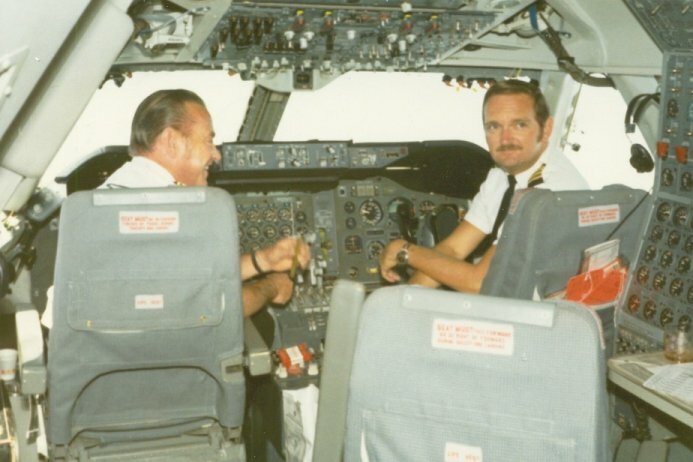 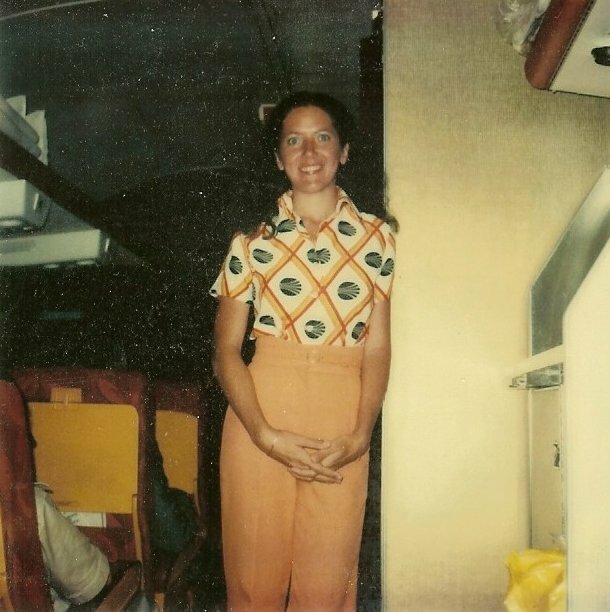 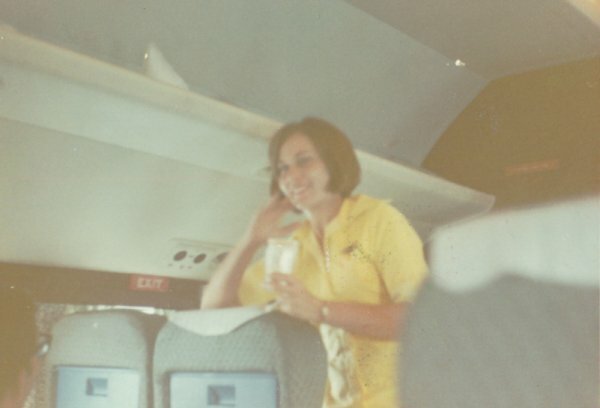 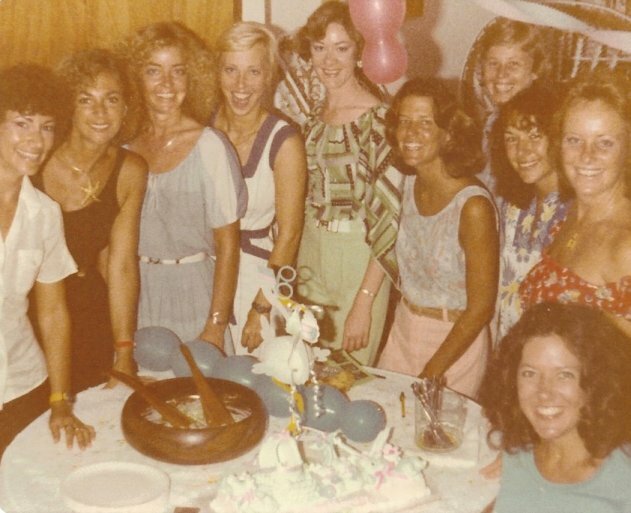 Additionally, the plane had to carry spare parts and a mechanic, as well as open-water survival gear and (beginning in 1975) onboard doppler radar, then a rarity. 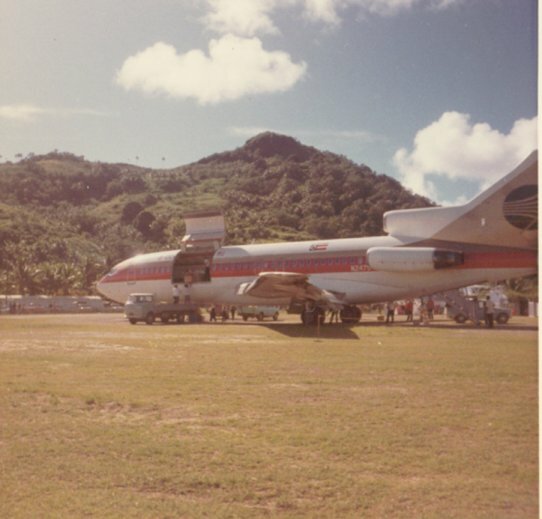 The airline also operated Boeing 727-100 Combi aircraft models which were capable of transporting freight pallets on the main deck of the jetliner just aft of the cockpit in addition to passengers seated in the rear compartment. 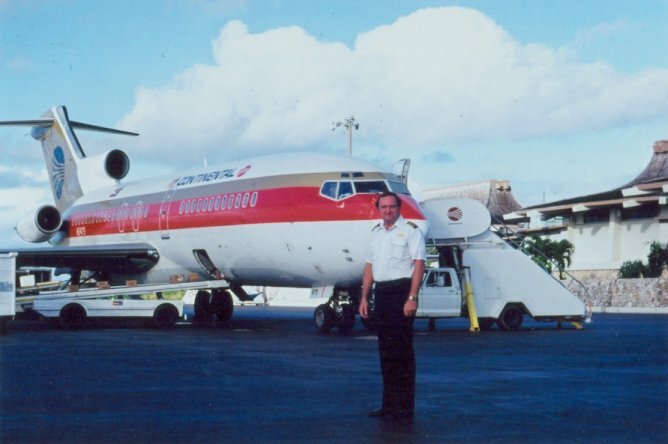 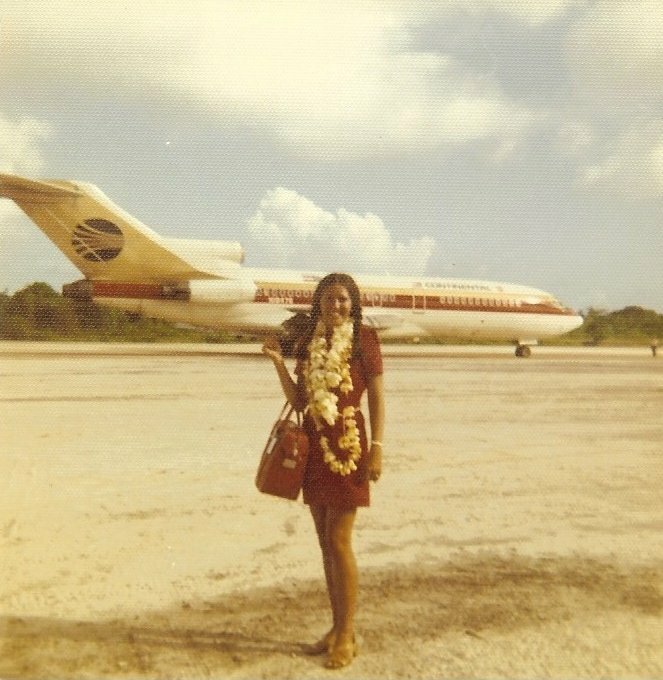 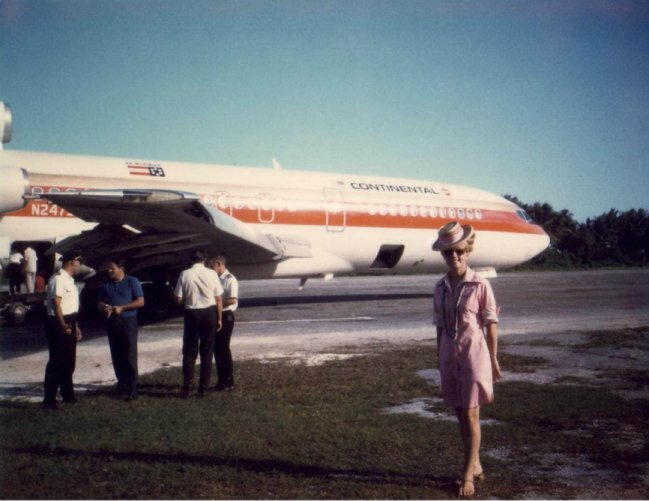 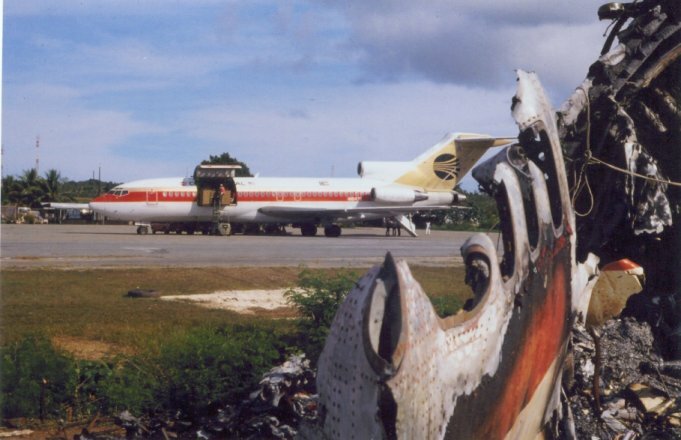 By 1983 Continental Micronesia was operating all passenger Boeing 727-100 and 727-200 aircraft in addition to mixed passenger/freight 727-100 Combi aircraft from its Guam hub. 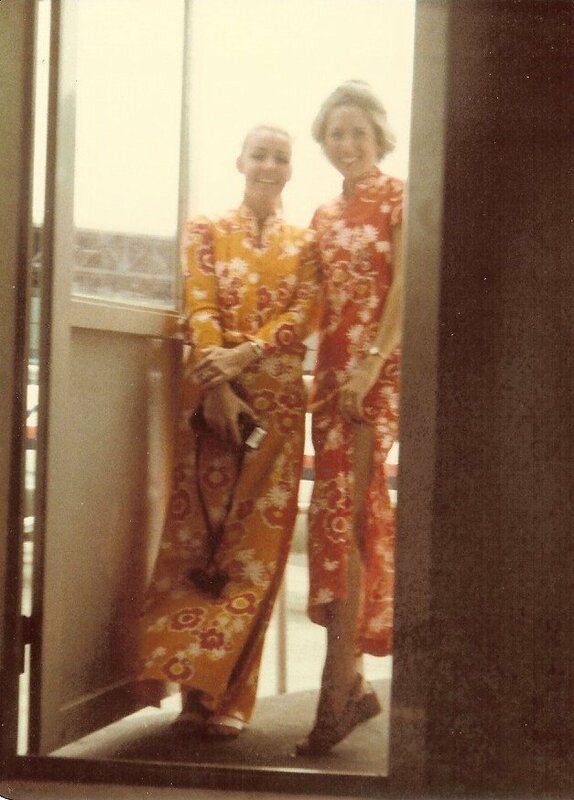 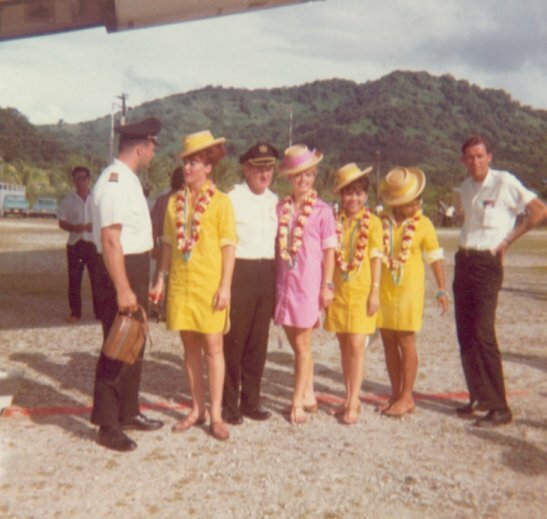 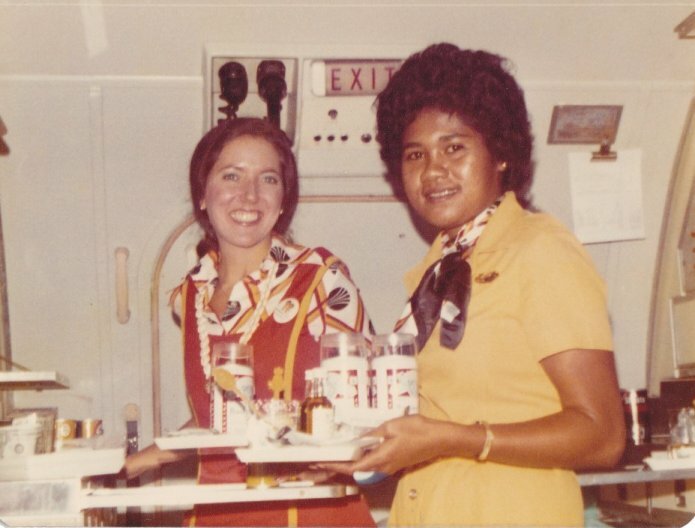 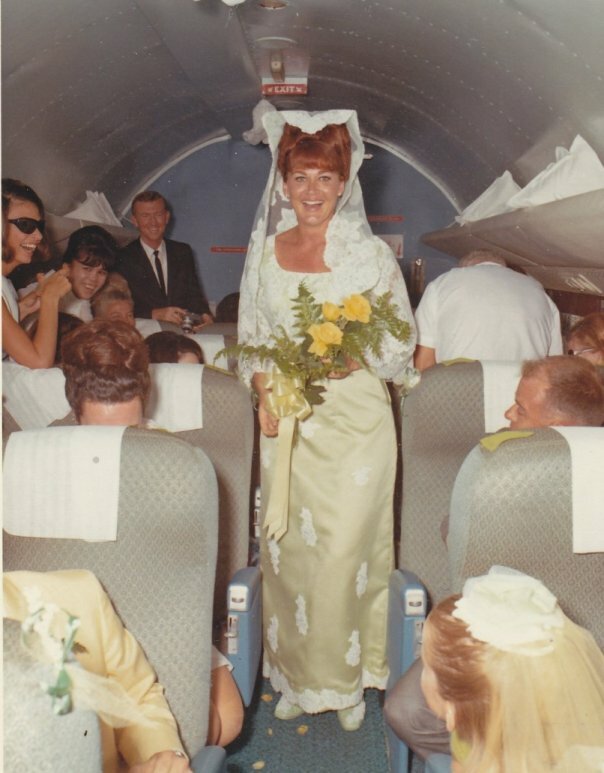 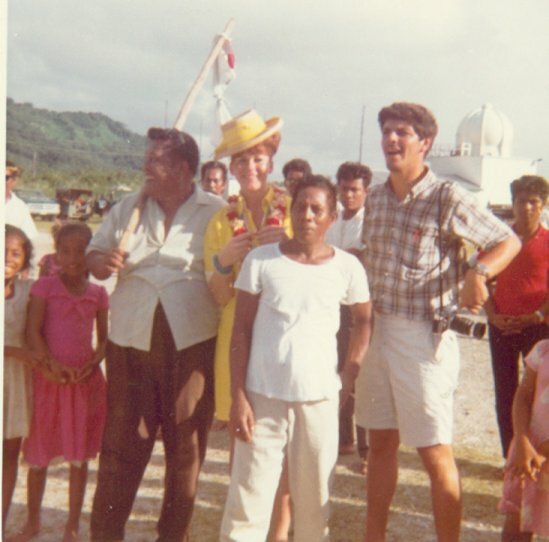 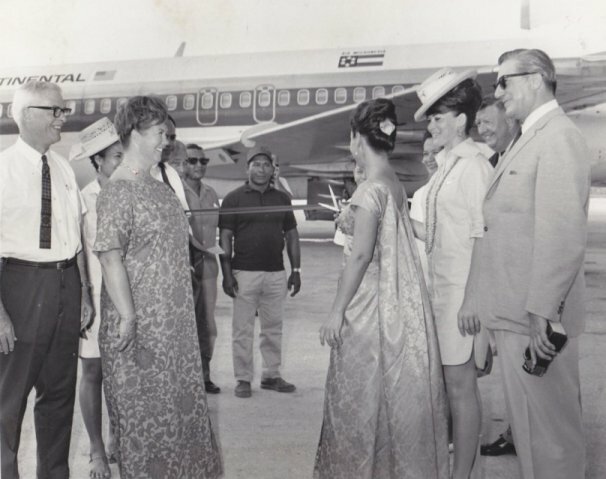 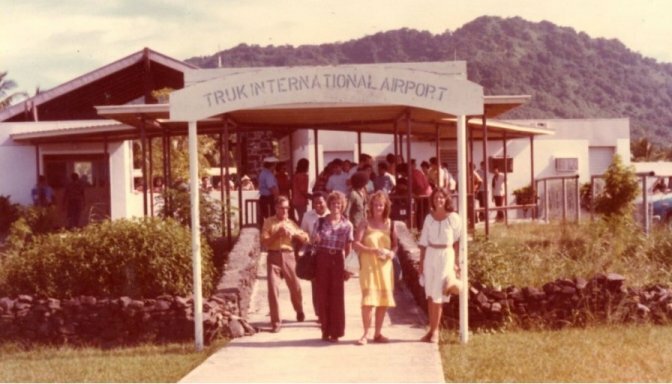 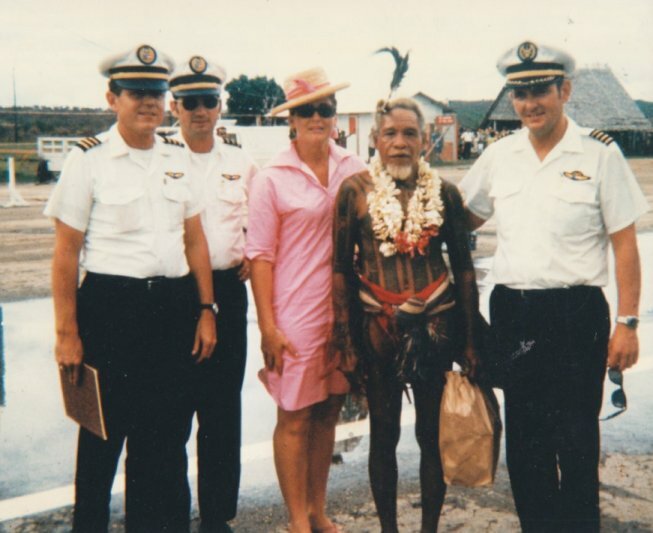 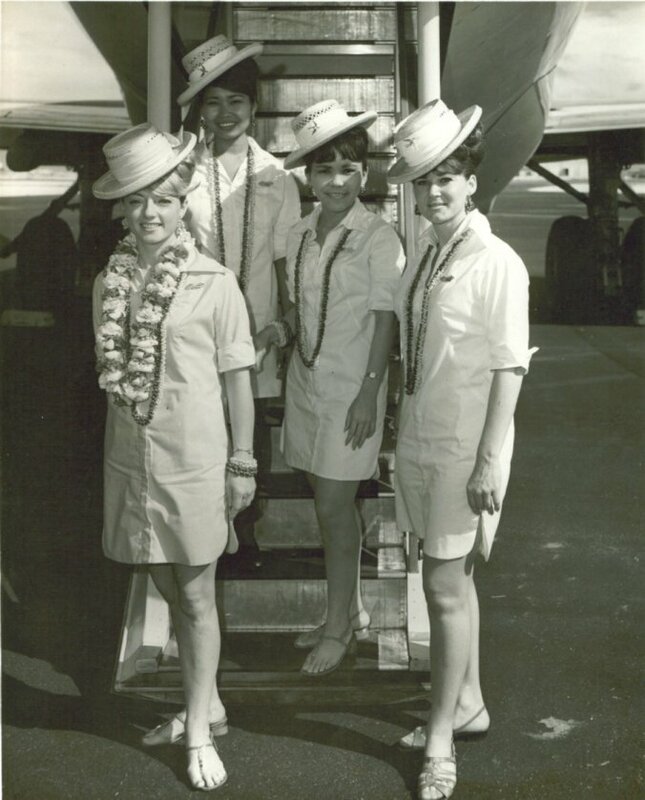 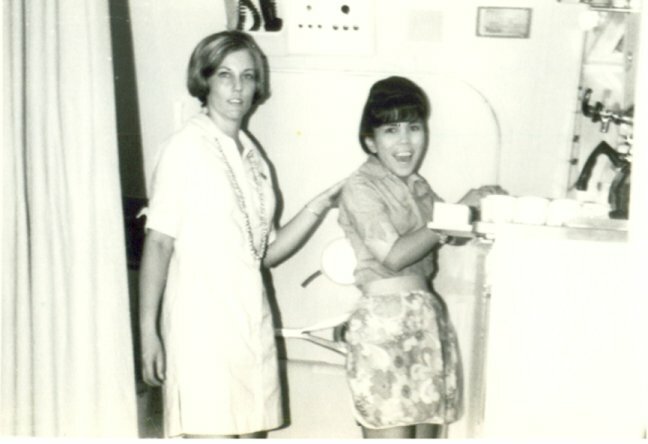 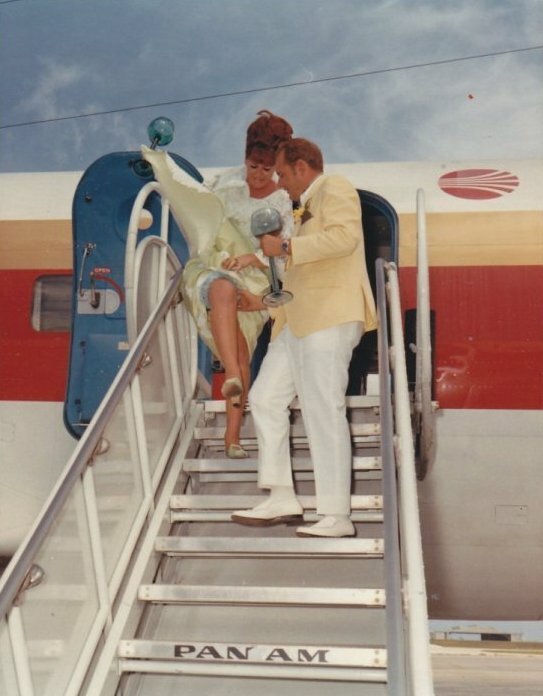 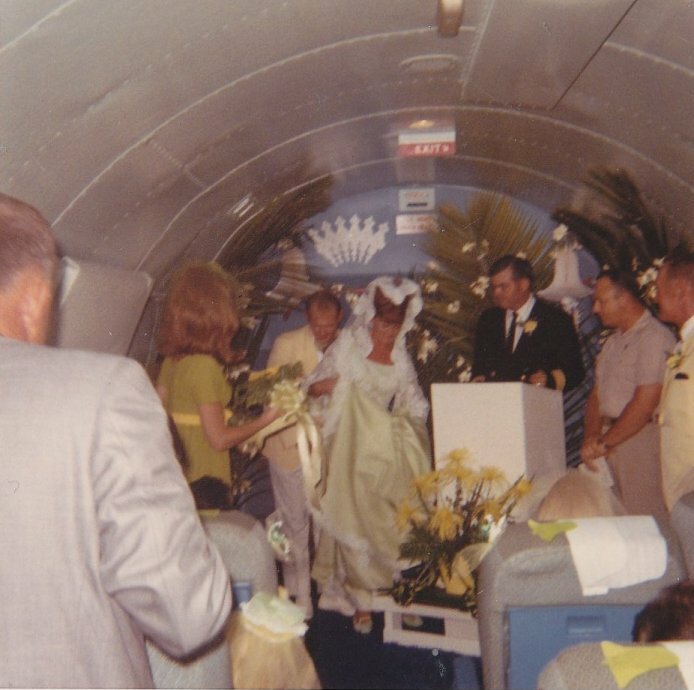 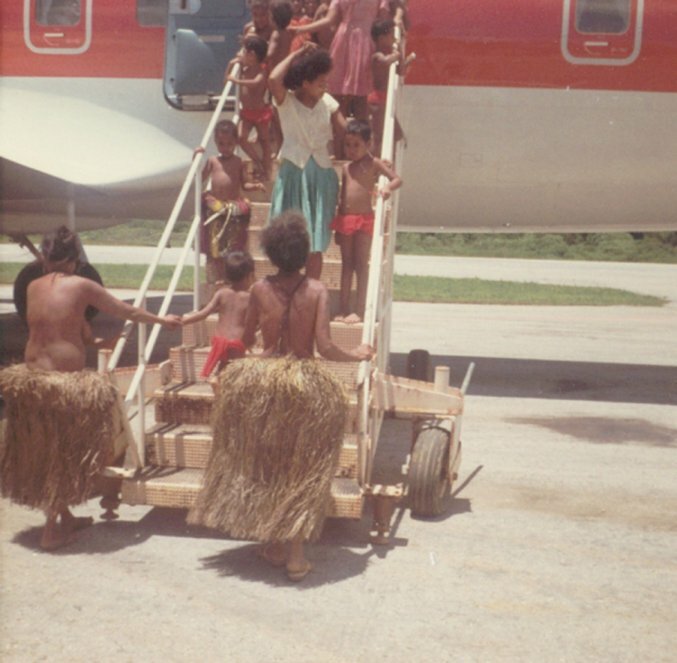 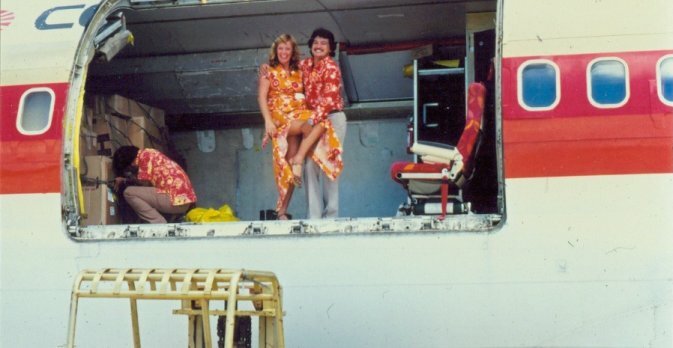 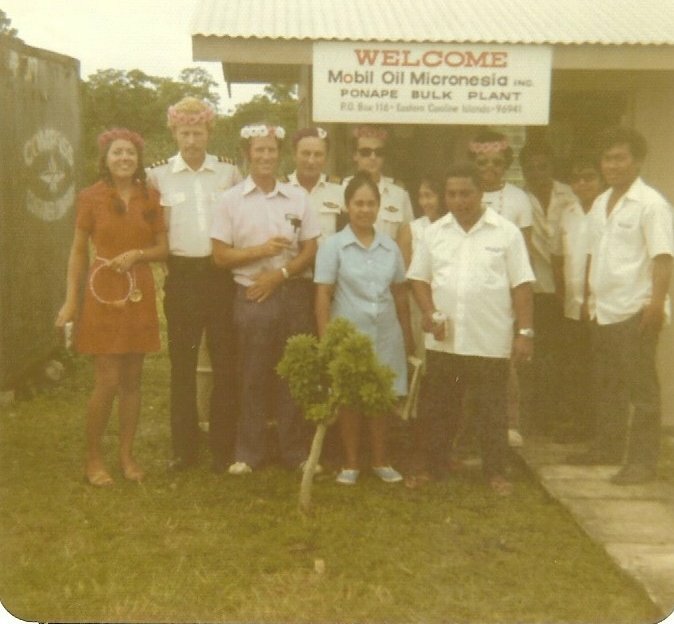 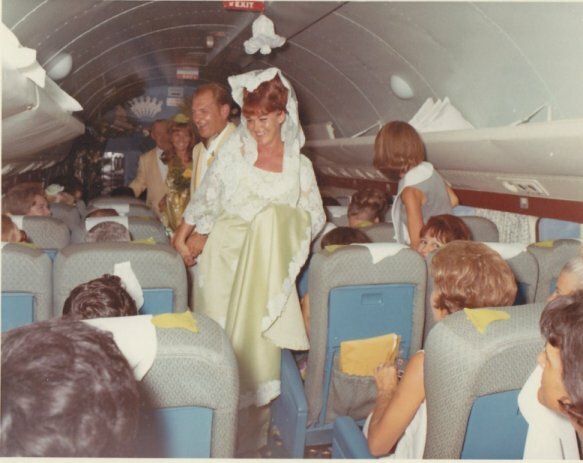 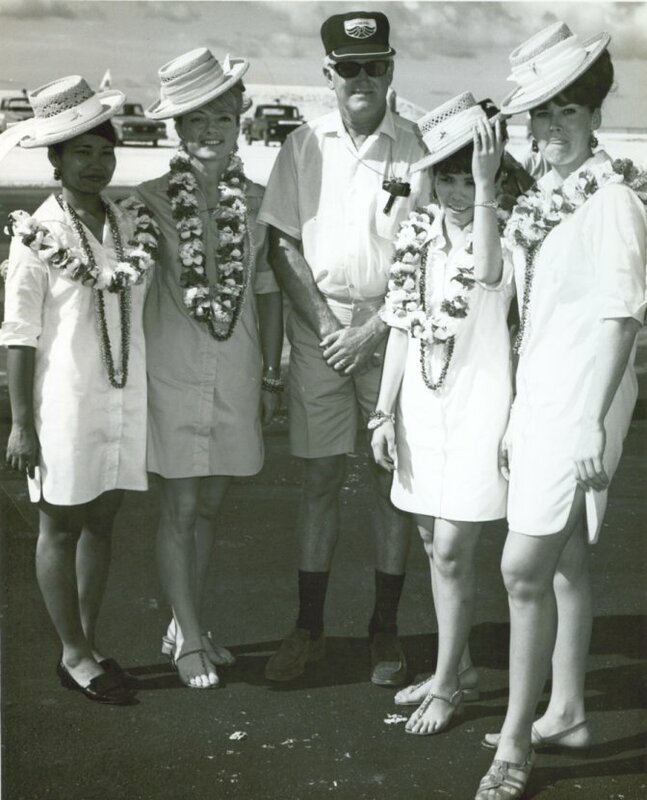 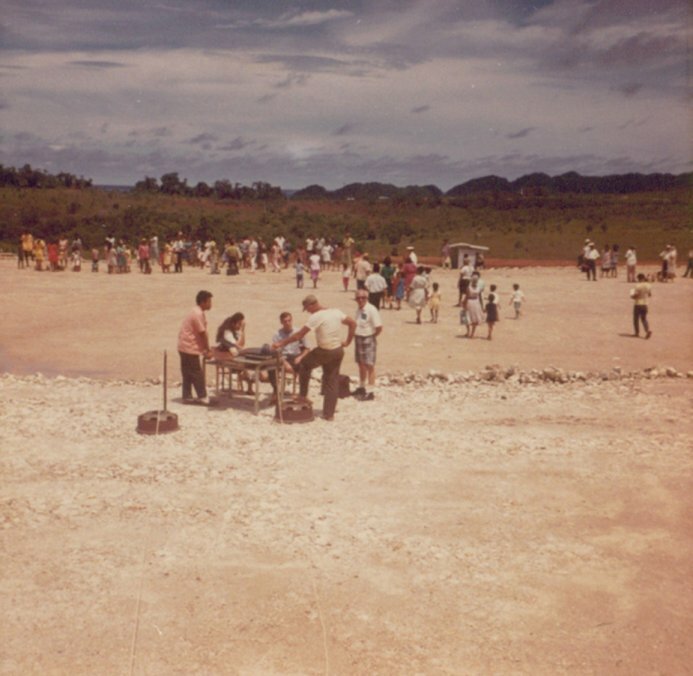 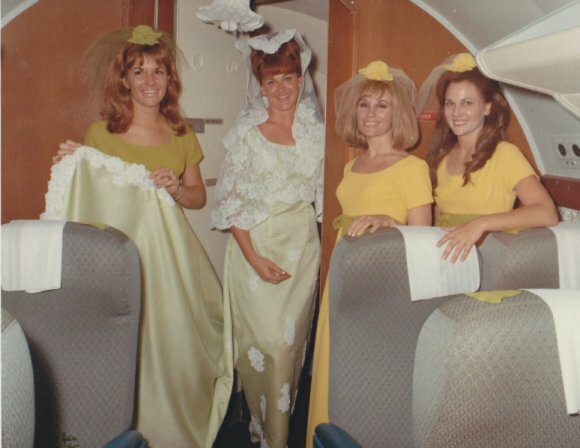 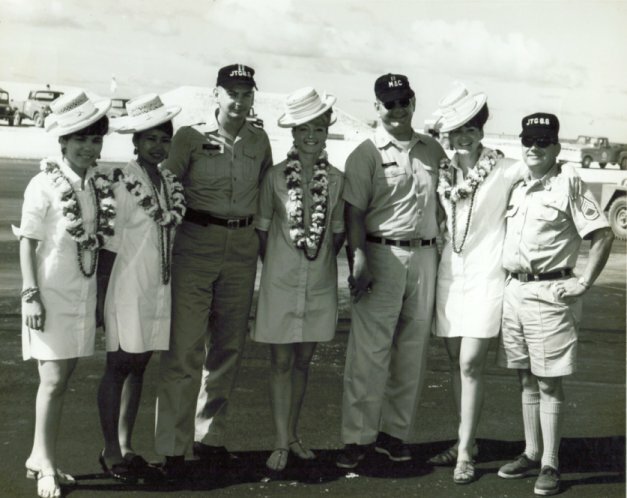 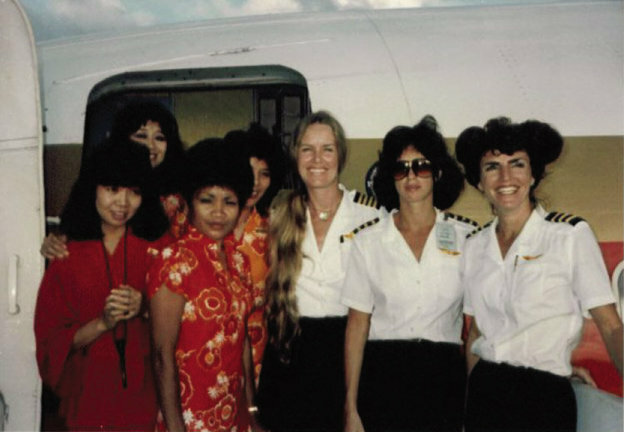 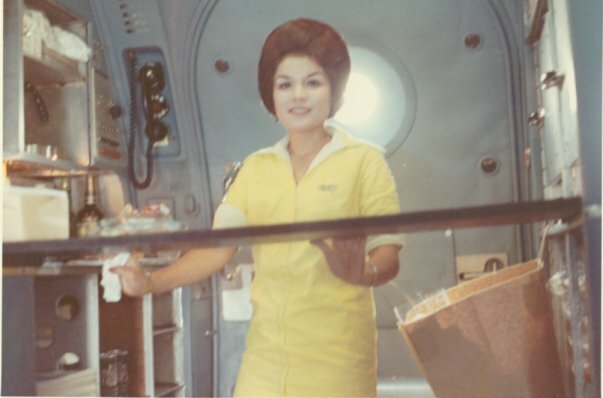 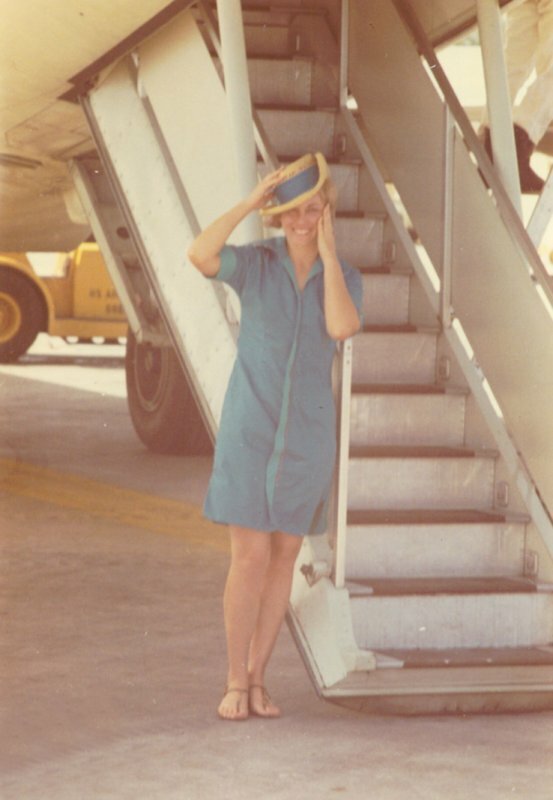 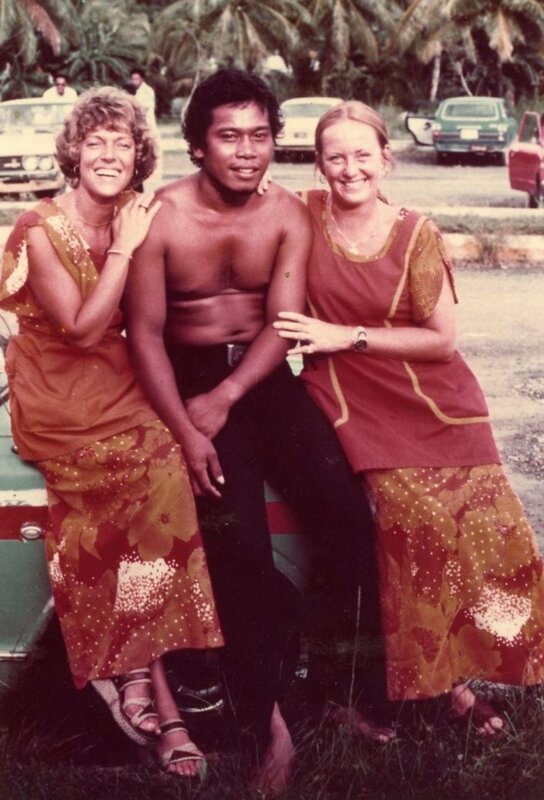 "The First Crew To Fly"
"Paul Ekol" "Tiger Matthews" "Dave Streit" "Pearl Kelly"
"Terry Togawa" "Joan Rikimesch" "Ray Brown"
"Here comes Ju - Ju"
Continental Micronesia nicknamed " Ju-Ju"
"Locals taking a tour of the aircraft"
"Elaine Tomlinson" " Terry Togawa"
"Jane Walter" "Kathy Johnson Kernaghanin"
"Jimmy Hatcher Caught with the door open"
"Marilee Krinitt" "Lynda Hilbert" "Suzanne Hendricks"
"H.H.Harvey" "Ed Brown" "Tiger Matthews" "George Childers"
"Tiger Matthews" "Dominick Renda" "Phil Yates"
"Judy Wilmore" "Tiger Matthews" "Joyce McCulley"
"Sandi Gibson" "Tiger" "Sid Conrad" "Elain Williams"
From the desk of "Dominic Renda"